TOKYO — Nissan Motor Co. CEO Carlos Ghosn, after prioritizing electric vehicles for years, now says the automaker will enter the hydrogen fuel cell race with a vehicle around 2020. Nissan is co-developing some of the technology with Germany’s Daimler AG. “We are not in a hurry. Because we already have a zero-emissions solution,” Ghosn said, referring to the company’s EVs, including the Leaf. “We’re not on the same time frame because we’re not in the same situation” as rivals trying to develop fuel cell vehicles as their zero-emissions offerings. But fuel cell vehicles will be part of the equation for Nissan going forward, Ghosn said. “The only question about fuel cells is, we just think it is too early,” Ghosn told Automotive News at the Tokyo Motor Show. Nissan aims to have its own hydrogen fuel cell vehicle on the road in “like four to five years,” he said. In contrast to Nissan, rivals showcased the technology at this year’s Tokyo show. Honda, Toyota and Lexus were among the brands touting production cars or concepts powered by fuel cells. Honda Motor Co. and Toyota Motor Corp. see fuel cell vehicles as central to their green-car strategies. Toyota began selling its Mirai fuel cell car in Japan last year and in the U.S. this year. Honda unveiled its next-generation Clarity fuel cell car at the Tokyo show with plans to put it on the market in early 2016. Lexus showed a fuel cell luxury sedan concept. Instead of burning gasoline, fuel cells run hydrogen through a chemical process that creates electricity to power the wheels. The “exhaust” is water vapor instead of carbon dioxide. 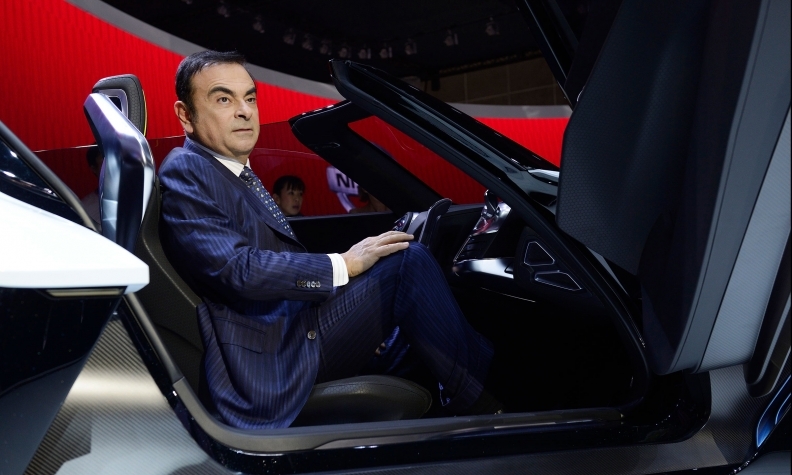 Ghosn said fuel cells face tall hurdles, including high development costs and the lack of a refueling infrastructure. “We’re facing already a problem with the charging infrastructure in electric cars. You can imagine the problem we’re going to have with fuel cells,” he said. The industry has split into competing camps that are pooling resources to share the weight of fuel cell development costs. Nissan shares r&d with Daimler. Toyota is working with BMW AG, and Honda has paired with General Motors to launch a joint fuel cell technology by 2020. Toyota, in particular, is becoming increasingly bullish on a hydrogen future. It sells hybrids and plug-in hybrids but has no so-called pure, or battery-only, EV on the market. Last month, Toyota raised its fuel cell sales goal to 30,000 vehicles by 2020. That compares with its production plan of just 2,000 such vehicles in 2016. To help, Toyota will start selling hydrogen fuel cell buses in early 2017.